R7 update for QuickBooks 2019 has been released for all its US versions. 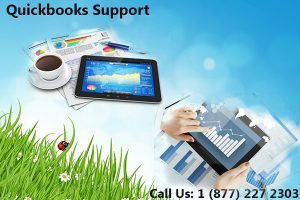 Initially, this update is made available only at the authorized QuickBooks Support sites in manual format. It will take some sort of time for its automatic update release due to which most of the users will able to check it later. In case, you are using QuickBooks 2019 and willing to notice bug fixes and changes that are introduced in this release then you must need to install this update. If you are using QuickBooks add-on programs then you must need to update some sort of important information before it starts accessing its accounting data. This release officially supports Windows 10 and Microsoft Office 2019. Following are some new aspects that are added in the R7 release to benefice its users. Some big security updates are added in R7 Release. Due to this, most of the users are going to be annoyed by these changes. However, if they are offering a more secure platform, then it’s better to adopt. Apart from QuickBooks for Mac, these updates will only affect the QuickBooks Desktop’s Window Version. In case, you have enabled the “Credit Card Protection” attribute, and your QB’s file contains some sort of sensitive data, for instance, personally identified information or credit card information then in such situations, it is mandatory to assign a user-specific password. With this advancement, now some of the users who won’t need a password to access these details will need to. All those users who are authorized to access full credit card information, when “Credit Card Protection” option is enabled, will need to change their password after every 90 days without any exceptions. In case, you are attempting to use QuickBooks add-on programs that have “background access”, indicate that you are allowing users to login QB data even if the file isn’t currently open. In such situations, users need to re-enter their login credentials. Usually, QuickBooks avoid dealing problems with permissions. Thus, after this release, it becomes easier to implement the solution for correcting issues that permit users to change “Company General Preferences” with limited or no access respectively. Additionally, correct problems associated with “Batch Enter Transaction” attribute by letting users update all transaction details into a close period by accessing permission restrictions. Apart from above, some other important fixes are added in QuickBooks 2019 R7 Release such as for QuickBooks Crashes, Accountant Toolbox, Advance Excel Import, Scheduled Backup, Inventory Items, ADR, Sales Taxes, and Shipping Manager. In case, you are willing to get more details about these changes, then reach us by calling at our QuickBooks support number, 1 (877 ) 227 2303.